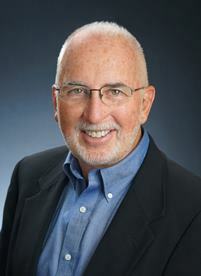 "If you want the very best experience in selling your property, go with Bob Reese. After marketing our prime pristine ranch for 18 months on my own, we then decided to just go with a pro. Bob spent a lot of time with us initially explaining the process, answering numerous questions, and never made us feel pressured . His team fine tuned our property, staged our house to maximum showing potential, and then in short order started bringing qualified potential buyers. Bob took care of us in every way making sure we were correctly represented... and would have a clean and easy process. His marketing strategy is excellent, and our former ranch sparkled like a diamond when viewed online. Bob not only was our realtor, he and his wife Connie became our dear friends. We have also become great friends with the family who purchased our ranch, and are now our next door neighbors as well. It was all a match made in heaven, and Bob gave us 110% , and also made us feel like he had no other clients but us. We always felt like we were his top priority. If we ever have other property to sell, Bob will be our choice." "I am very happy with the service we received. We were given specific recommendations for staging our home for both photos and showings to help show off the qualities of our home. Bob Reese made the negotiation process very approachable and worked with our schedule. And we had an executed contract within a week of listing! He was also very helpful and informative during the closing process. We couldn't have asked for more! - Negotiation skills: [five stars]"
"Bob Reese did a wonderful job!" "When my parents decided to sell their ranch, Bob Reese was our first choice to handle the marketing and sale. We couldn't have been happier with the service and courtesy we received. The property had multiple offers and sold within 2 weeks. Bob and his team were true professionals; responsive, courteous and supremely knowledgeable." "Bob and his team sold our house in about 30 days. He initially told us it could take up to 6 months to sell based on the current market in our area. So, he far exceeded that timeframe. We ended up getting multiple offers and Bob was very helpful when it came to our counter offers. He explained fully the ins and outs of each counter offer. He kept us informed the entire time our house was on the market and followed up on showings to let us know what was said about our home. He was there at the end during our closing to guide us thru the process. Bob is well known in our area as evidenced by the many listings and signs in seller's yards. In conclusion, we doubt that one could find a better and more experienced realtor than Bob and his team. We highly recommend him to anyone thinking of selling or buying in the Canton area.